We've done our homework. Here is a brief case study that shows why PFM strategically makes sense from an ROI perspective. Technology is providing a better way for account holders to interact with their money. 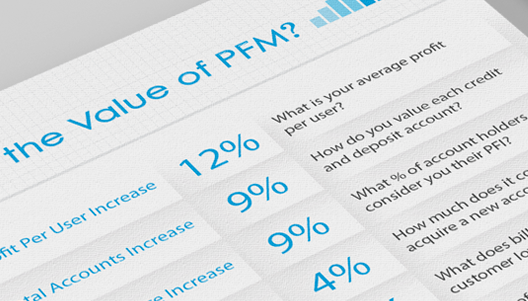 This shows how PFM fits into your technology strategy. We know you are busy solving problems. Our client services team is that additional resource you wish you had. In short, we can make your wildest dreams come true. From product trainings to custom marketing campaigns & so much more, we won’t leave you hanging.